Following in the footsteps of Bishop T.D. Jakes, Prosperity Gospel preacher Joel Osteen, Pastor of Lakewood Church, the biggest congregation in America, has now joined Oprah Winfrey’s life classes to teach New Age heresy to the masses. Once again, a Christian pastor has come on Winfrey’s series and preached a message that had no mention of the Biblical gospel, forgiveness of sins or Jesus Christ. As we noted in our Apostasy Alert article on T.D. Jakes, Oprah Winfrey has been one of the biggest promoters of the New Age movement in the world. Through her talk show, television network and multi media empire Winfrey, who claims to be a Christian, has launched books such as The Secret into all-time best sellers. 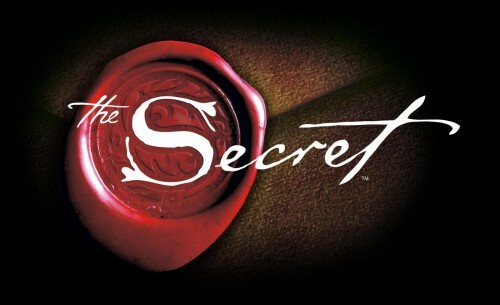 The Secret, a book that teaches the ancient witchcraft technique, The Law of Attraction is not in line remotely with Biblical Christianity. Rather than looking to Jesus Christ for forgiveness of sins and reconciliation with God, The Secret teaches that a person has the power to attract success, wealth, romance and all sorts of earthly benefits through their own words and rituals. ''Therefore take no thought, saying, What shall we eat? or, What shall we drink? or, Wherewithal shall we be clothed? (For after all these things do the Gentiles seek:) for your heavenly Father knoweth that ye have need of all these things. But seek ye first the kingdom of God, and his righteousness; and all these things shall be added unto you. – Matthew 6:31-33''. 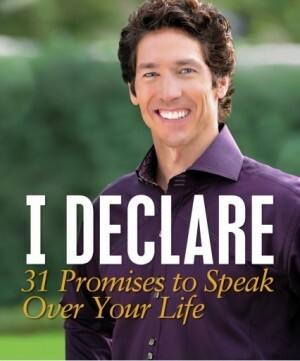 Joel Osteen is taking much of his material from this book. “When you focus your thoughts on something you want, and you hold that focus, you are in that moment summoning what you want with the mightiest power in the Universe. The law of attraction doesn’t compute “don’t” or “not” or “no,” or any other words of negation, this is what the law of attraction is receiving.” – The Secret, p. 9. ''Draw nigh to God, and he will draw nigh to you. Cleanse your hands, ye sinners; and purify your hearts, ye double minded. Be afflicted, and mourn, and weep: let your laughter be turned to mourning, and your joy to heaviness. Humble yourselves in the sight of the Lord, and he shall lift you up. – James 4:8-10''. Notice the difference: the Bible acknowledges that God is the means to eternal satisfaction and true peace. And it also teaches that it is sin that is our main obstacle to God. It takes a desire for forgiveness and faith in God to forgive sin through the sacrifice of Jesus Christ that is the message of Christianity. Pastors are to preach “the word” – meaning preach The Bible and not their own ideas or methods, whether it is “in style” or “out of style” or “old-school” to just use solid, biblical preaching. The result of not doing this is that those coming to church will desire pastors who will tell them what they want to hear, rather than preaching what the Word of God has to say to all people. Examining Osteen in the life class, there are numerous examples of sound doctrine being rejected and fable being given instead. The power is not in the words. It is with God. None of this is in the Bible. Notice there is no mention of God, Jesus Christ or the Gospel in anything that is being preached. Just like T.D. Jakes before him, Osteen is preaching a Christ-less Gospel that is completely centered on worldly, material gain. According to Osteen speaking negative statements “sets the tone for your life” and attracts bad situations to your life and therefore we should not even make negative statements like “I am depressed” or “I am sad.” This once again, is the Law of Attraction at work. “In this chapter we turn our attention to using our I AM power to make our hopes and dreams become part of our reality. Starting with a brief discussion of the 2006 book and movie, The Secret, we’ll examine the question of our roles as co-creators of our experience of reality… When you say I AM the rest of that sentence cannot but help become your reality. That is because one of the manifestations of God is God as Law, the Divine Law of Cause and Effect, which Buddhism calls karma.” – (The Power of I Am: Claiming Your Inherent Power To Consciously Create A Life of Purpose, Meaning and Joy, Dan Shafer). O magnify the Lord with me, and let us exalt his name together. I sought the Lord, and he heard me, and delivered me from all my fears. They looked unto him, and were lightened: and their faces were not ashamed. This poor man cried, and the Lord heard him, and saved him out of all his troubles. – Psalm 34:3-6. The eyes of the Lord are upon the righteous, and his ears are open unto their cry. The face of the Lord is against them that do evil, to cut off the remembrance of them from the earth. The righteous cry, and the Lord heareth, and delivereth them out of all their troubles. The Lord is nigh unto them that are of a broken heart; and saveth such as be of a contrite spirit. Many are the afflictions of the righteous: but the Lord delivereth him out of them all. – Psalm 34:15-19. I will call upon the Lord, who is worthy to be praised: so shall I be saved from mine enemies. The sorrows of death compassed me, and the floods of ungodly men made me afraid. The sorrows of hell compassed me about: the snares of death prevented me. In my distress I called upon the Lord, and cried unto my God: he heard my voice out of his temple, and my cry came before him, even into his ears. – Psalm 18:3-6. And call upon me in the day of trouble: I will deliver thee, and thou shalt glorify me. – Psalm 50:15. “By formulating a witchcraft ritual you are creating and therefore taking responsibility for the circumstances of your life. This is the main message that the Law of Attraction has been broadcasting. The Law of Attraction is something that has been very familiar with witches for thousands of years as a very elementary teaching in witchcraft. Now it’s time to take it to the next level.” (source). “I also teach Law of Attraction on its own for people who just want to learn that. However I believe the the two subjects really do belong together. Whenever you are casting a Wiccan spell you are using the Law of Attraction and whenever a Law of Attraction practitioner says an affirmation, he or she is really doing magick.” (source). There shall not be found among you any one that maketh his son or his daughter to pass through the fire, or that useth divination, or an observer of times, or an enchanter, or a witch. Or a charmer, or a consulter with familiar spirits, or a wizard, or a necromancer. For all that do these things are an abomination unto the Lord: and because of these abominations the Lord thy God doth drive them out from before thee. Thou shalt be perfect with the Lord thy God. – Deuteronomy 18:10-13. Why would a Christian pastor bring New Age teachings to the church? What spirit is leading a Pastor who is not using the Bible as a guide but instead leaning on the same methods used by witches for centuries? Do not be deceived. 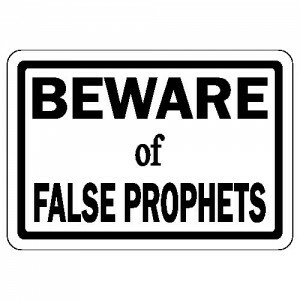 The Bible warns Christians to beware of those who do not teach the Bible. If the words “I can’t afford it” have passed your lips, your power to change that is now. Change it with “I can afford that! I can buy that!” Say it over and over. Become like a parrot. For the next thirty days, make it your intention that you are going to look at everything you like and say to yourself, “I can afford that, I can buy that.” – (The Secret, p. 102). Osteen is clearly teaching New Age mysticism over the Bible. There is nothing wrong with a Christian making negative statements. Prayer is to be honest and if a person is feeling pain, insecure, weak or tired of it all, God in Heaven wants to hear all those words. We are to lean on God to save us, not ourselves or magical words. And for the person who is unsaved, salvation starts at the point that a person can say: “I am a sinner. I am guilty before God. I am in violation of God’s commandments.” Without those “negative” words, a person cannot receive free forgiveness that comes through faith in Jesus Christ. When a person cries out to God, rather than “attract” negative situations, they draw closer to the Almighty Creator and His love for them. Thanks to Oprah Winfrey among others, New Age spirituality has seen an explosion in popularity in the past decade. Pastors should be protecting the flock and warning Christians about these false doctrines, not preaching them. Therefore if any man be in Christ, he is a new creature: old things are passed away; behold, all things are become new. And all things are of God, who hath reconciled us to himself by Jesus Christ, and hath given to us the ministry of reconciliation; – 2 Corinthians 5:17-18. Peace I leave with you, my peace I give unto you: not as the world giveth, give I unto you. Let not your heart be troubled, neither let it be afraid. – John 14:27. The true peace comes when a person knows they are not facing eternal damnation. This is what Jesus Christ wants to share with the world. And it is a pastor’s job to spread this message so that people will believe. And instead of preaching the word, Osteen is promoting fables. How is this woman saying “I am worthy” going to save her soul? How is saying “I am valuable” going to bring her true peace? It won’t. He tells the audience that if they are thinking any negative thoughts to “zip it up” and just not say them. 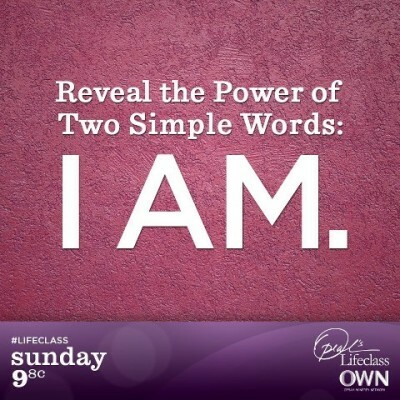 And then he and Oprah close with more “I am” affirmations, encouraging the audience to repeat them every day, mantra-like, as the key to living a fulfilled life. Jesus Christ, in teaching how to pray, forbade Osteen’s methods: “But when ye pray, use not vain repetitions, as the heathen do: for they think that they shall be heard for their much speaking. Be not ye therefore like unto them: for your Father knoweth what things ye have need of, before ye ask him.” (Matthew 6:7-8). In Osteen’s positive declarations, there is no mention of sin, forgiveness, eternal damnation or faith and eternal life. And absolutely no mention of the name Jesus Christ. It is just more declarations of your own greatness. In other words, the individual is the answer to their own problems. The solution and divinity all reside within. “You can create your own affirmations for pretty much everything. Say you want a new job. You could use an affirmation like “I am getting a new job that I love.” Wanting to find a new partner in life? How about using “I will find my true love.” I started out using basic ones. I still use some of my original ones. “Calm” is one I use when I feel overwhelmed. Just one word that I repeat to myself. The biggest thing I do though is try to monitor the chatter in my mind. If a negative thought creeps in I try to dismiss it and replace it with a positive one. At first it can be time consuming, in time though you will wind up doing it naturally. The Pharisee made an “I am” affirmation to boast of how great he was and his testimony was rejected by Jesus. But the publican was humble and spoke negatively – willing to speak the truth, that he was a sinner. He confessed that like all people, he had fallen short of the glory of God and deserved God’s wrath. And he cried out for God’s mercy. And for this, he was exalted. Declaring “bold affirmations” will not get you to Heaven. There is a power in words. But it is in the words of God when they are spoken to point people to Jesus Christ. For Christians, use this power and share the good news of forgiveness of sins and eternal life in Jesus Christ. If you are not a believer, take the time to learn the Gospel and cry out to God for forgiveness for the sins you know you have committed. Pray and say the “negative affirmation” that you are indeed a sinner but believe that there is forgiveness for those who put their faith in Jesus Christ. And The Lord will exalt you in eternity. Source: Originally published by Beginning and End.com in 2013.